Mrs Clark, Mrs Kafesci and Mrs White ran sessions on phonics for parents of reception children. 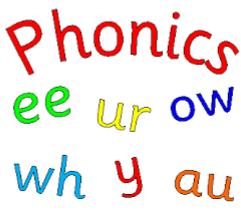 The parents took part in a phonics lesson and were given tips on how to help their child at home. Feedback from parents was overwhelmingly positive, with one parent commenting "Thank you for holding this workshop. I have learnt some tips for home and will be using them".